No, I'm not talking about baseball. Although in light of OE's last post about phenology I'd like to add some urban phenological insight to this urban gardening blog: Plant violas when baseball season begins. It's been a busy winter: teaching, travel, flower shows, finishing off a really long book proposal (which I hope ignites a bidding war among publishers). For the last few weeks I've been itching to get back into the garden, dreaming about the fragrance of violas and their bright little faces. 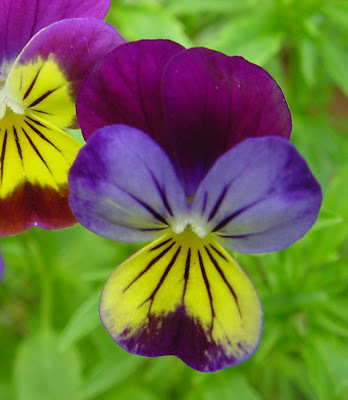 Of all the violas, my favorite is Viola tricolor (aka Johnny jump up, heartsease, wild pansy). Its smaller flower size seems more natural and less domesticated than that of the beefier pansy. Yes, it can escape, and yes, it can spread enthusiastically, but in city windowboxes this is rarely a problem. If I find a few self-seeded plants popping up between the roof tiles I consider myself lucky. Viola tricolor is a cool weather plant that does best in full to part sun. It's easy to start from seed, but I usually start with flats for an instant burst of color. In NYC, violas can look good through the end of June, depending on how hot the location is. You'll know when it's time to pull them out; flowers get smaller and plants get leggier as the temperatures warm up. At the other end of the viola spectrum is the burly Viola x wittrockiana (aka garden pansy). These flowers are two to four times larger than Johnny jump ups, and there are tons of colors to choose from: almost black, tangerine orange, maroon, white. They are slightly less fragrant than their petite cousins, and grow best in full to part sun, regular moisture, and cool temperatures. 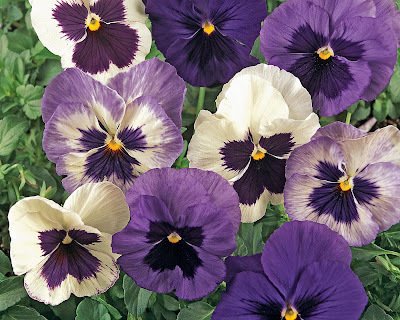 You may also find mixed flats labeled simply violas, with flowers larger than Johnny jump ups and smaller than pansies. Don't worry about the lack of a specific epithet. 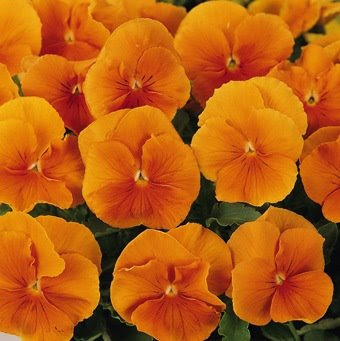 If you like the flowers, buy 'em; when it comes to violas you can't really go wrong. Plant them near a window where their scent can drift indoors on a warm spring day. Some clients choose to skip pansy season. They say it's cold outside and they won't use the terrace for another month or so. They say they don't want to plant something now that they'll just have to pull out in a few weeks. I say poppycock. You can get 4-8 weeks out of pansies if you plant them now and that's well worth the effort. Besides, what better way is there to celebrate the beginning of baseball season than by planting a crop of Violas? Go Bosox. did you see my latest blog? ....about you? ?